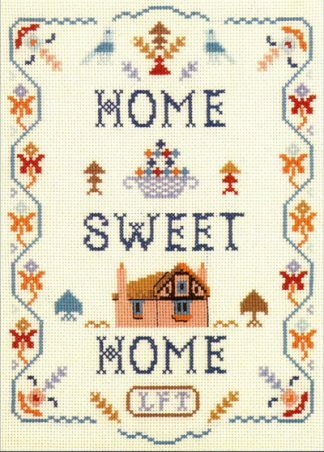 A Bless This House sampler cross stitch kit to place in your home as a blessing. 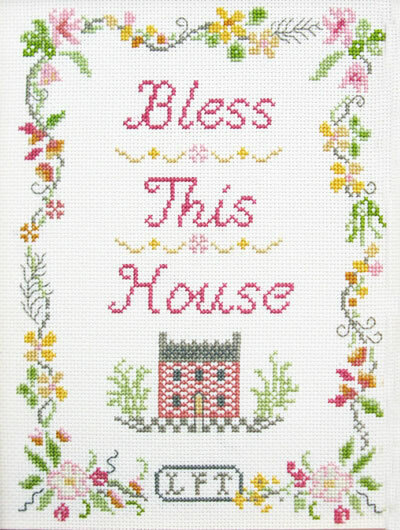 This Bless This House counted cross stitch sampler is in cheerful pinks, gold and greens with decorative swirling border. 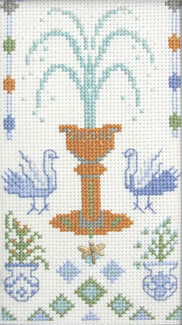 A Bless This House sampler cross stitch kit in cheerful pinks, gold and greens with a decorative swirling border. 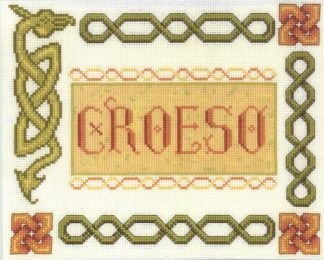 The Bless This House sampler cross stitch kit has only the best quality materials ~ Zweigart fabric, DMC thread and a needle. You can make the sampler personal by adding your own initials using the letter chart provided. “Bless This House” is a song published in 1927 written by Englishwoman Helen Taylor. One of the first artists to record the song was tenor John McCormack. In the USA this song is often sung at Thanksgiving. The line lends itself well to a saying sampler.